A gradual rise in acts of piracy in the Gulf of Guinea has set alarm bells ringing at the headquarters of shipping magnates across the world. As international efforts to tackle piracy off the Horn of the east coast begin to take affect, the increasingly-sophisticated maritime criminals have looked elsewhere. 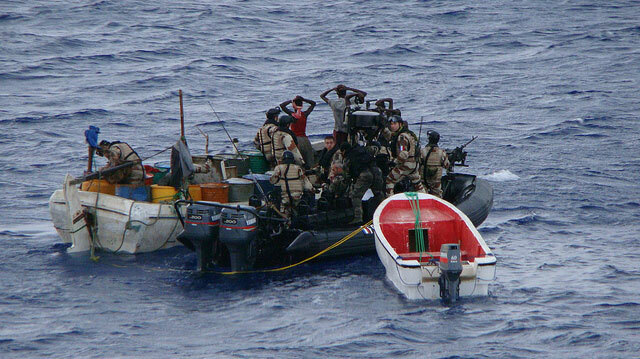 Not only in the Gulf of Guinea, but along the West African coast, incidences of piracy are on the rise. At the same time, littoral states in the region have neither the resources nor the financial clout to nip the problem in the bud. The Atlantic is far more forbidding ocean terrain than the Indian yet with improving vessels, logistical capacity and weaponry, pirates are feeling braver. Backed by multinational crime syndicates, piratical acts are not simply the result of desperate local fishermen. 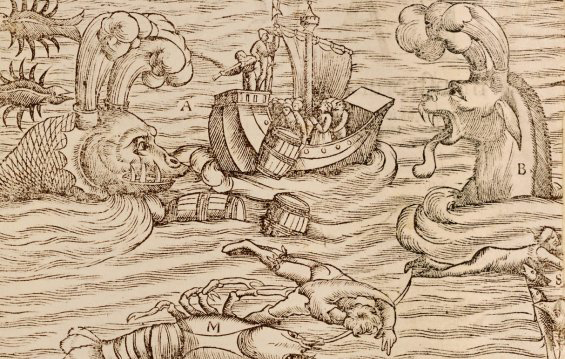 Organised piracy on Africa’s west coast can be dated back to the 15th century, when the Barbary corsairs attacked European shipping and trade posts along the Moroccan shoreline. In 1434 Gil Eannes, on the orders of Portugal’s Prince Henry the Navigator, rounded the previously unpassable Cape Bojador (a headland on today’s Western Sahara), pushing European exploration further than before. For the remainder of the century the Portuguese worked their way along the West African coast, harried by the corsairs for much of the way, whilst negotiating both the savage tidal currents and the awkward politics of encounter with indigenous African tribes. In succeeding centuries, acts of piracy in West Africa were predominantly perpetrated by Europeans against Europeans. The era of privateering saw greater incentive to tackle enemy ships along the treacherous coast, though many favoured the gentler tidal patterns of the Indian Ocean and the Caribbean Sea. 4) It has plenty of hidden coves and bays from which to launch a stealthy attack. If the international community fails to tackle this growing problem soon then another security crisis will ensue. Large exports of oil, minerals and food produce depart from West African ports. As soon as they start getting taken, people will definitely sit up and take note. The son of former Pakistani Prime Minister Benazir Bhutto has called for decisive action against the militants operating within Pakistan’s borders, particularly the Taliban. Bilawal Bhutto Zardari claims that attempts to negotiate a peaceful compromise with the militants have been exhausted. Pakistan’s internal security has been an important global issue in the 21st century. 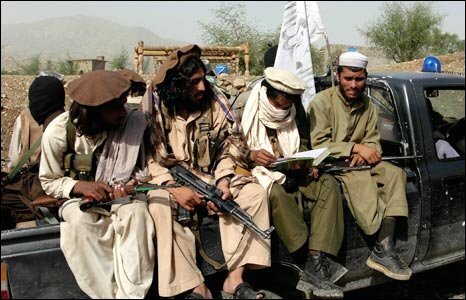 Having sheltered Osama Bin Laden (knowingly or not) and continued to provide a safe haven for a variety of anti-Western militants and terrorists that operate across the Afghan border, the South Asian nation remains under constant scrutiny. Many Pakistanis have, in recent months, decried American drone strikes against militants within their borders and national politicians continue to insist that Pakistan can take care of its own security without its sovereignty being violated. This, however, has proven impossible. Pakistani officials and military leaders are either unwilling or unable to secure their country and, by extension, help securitise the region. The wariness felt by many Pakistanis towards the West partly has its roots in the Cold War era. 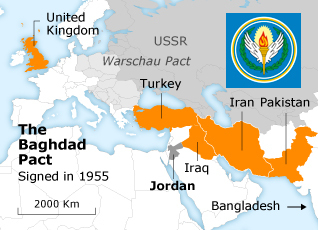 In 1955, the Turco-Iraqi Pact (later the Baghdad Pact) was signed as a form of mutual protection in the Middle East, the main threat being perceived as from the Soviets. Britain and Iran also signed the deal and were keen for Pakistan to do likewise. b) the general military and international situation which may be existing at that time and after taking into consideration the forces required for the security of Pakistan in regard to any possible threats of aggression which may result from conditions then prevailing. This vague reticence testified to the Pakistani government’s concern over committing to a pact that, in theory, would benefit the security of its country. Britain, for one, could not understand the hesitation in Karachi signing the deal yet recognised the strategic importance of Pakistan with regards to Middle Eastern security during the Cold War. They acquiesced to the reservations. 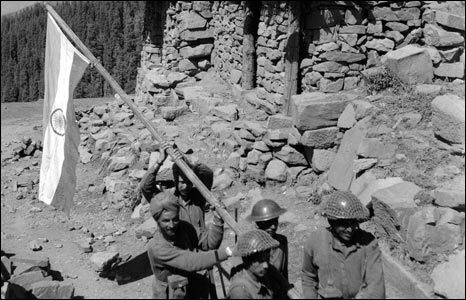 When Iraq left the pact in 1958, it became known as the Central Treaty Organization (CENTRO) and it was effectively useless, ultimately realising Pakistani misgivings. CENTRO failed to prevent its own signatories facing off by proxy during the Arab-Israeli conflicts, stood by as Turkey invaded Cyprus and steered clear of the warring between India and Pakistan. Despite claiming to be a mutual protection pact if the threat wasn’t Soviet, it seemingly didn’t matter. The Iranian Revolution and the Shah’s overthrow proved the final straw and CENTRO formally capitulated. It would be no surprise if CENTRO’s failure fuelled Pakistani mistrust towards the West. Furthermore, it perhaps reinforced the worrying reality that, despite delusional claims that they could secure their own borders, the Pakistan government was sadly reliant on the dubious and unpredictable intervention capabilities of foreign powers for its security. Caught between forging a strong multilateral alliance with its Western security partners and the desire to show a fortified indigenous stance against vicious militant groups, Pakistan is stuck. It craves and fears abandonment by the West. It has created a dangerous inertia that is being exploited by the Taliban and others; an inertia the young Bhutto demands an end to.